value for money and will leave you with good memories for many years to come. Book Now. No Agent Fees. 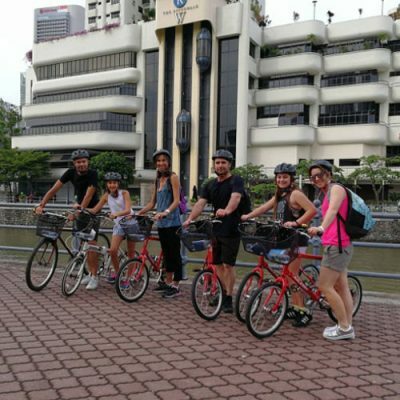 Exploring Singapore by bike is the best way to stretch your dollar by getting maximum coverage without losing the details. Venture into the nooks and crannies that a commercial tour cannot take you. With our local expert beside you. 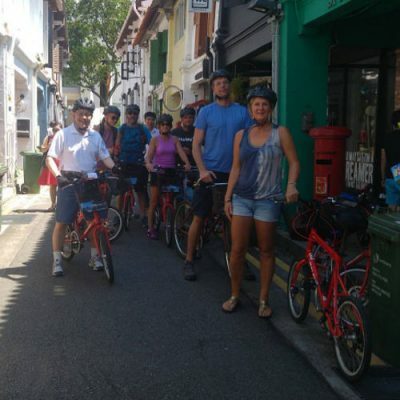 You will learn lot’s of interesting trivia and hear local stories that are uniquely Singapore. Sample delectable snacks at the local coffee shop and more. 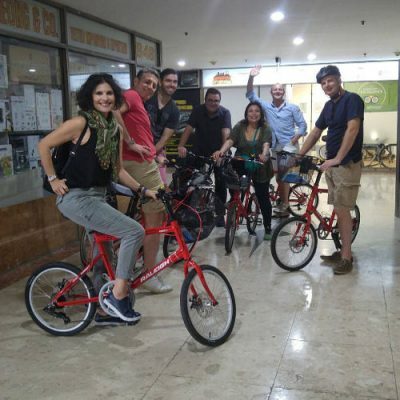 Our tour is like a crash course done in an interesting and relaxing manner to allow each tourist to immerse into the local culture within a span of 4 hours. 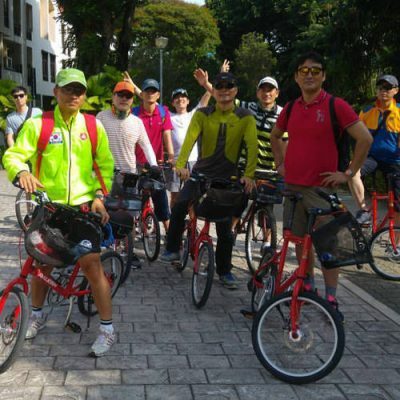 Imagine spending 4 hours exploring Singapore by bike. 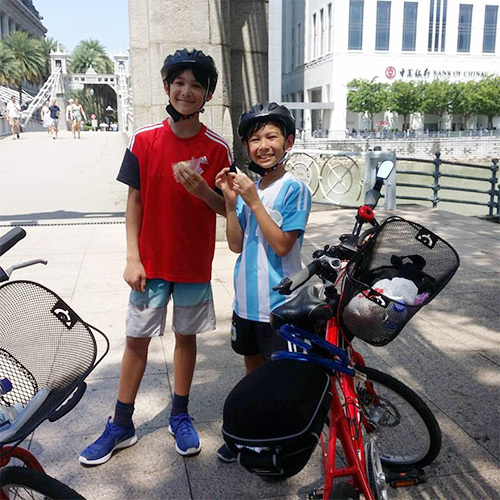 Cycling through the biggest cultural enclave, Chinatown and experiencing it’s rich culture. Visit the oldest residential estate, tiong bahru and experience the serenity and beauty of the conserved houses from the 1930s. 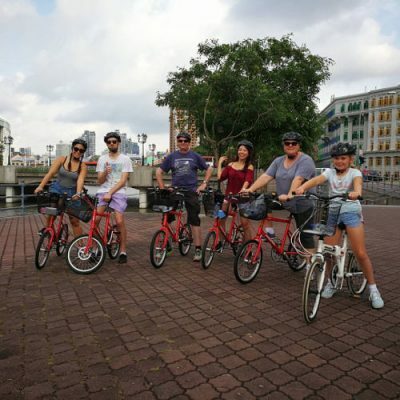 Then zip through the rolls of restaurants and private residents along the iconic Singapore river to relive the days of the commercial civilization. Enter the nooks and crannies of kampong glam and marvel at the beautiful skyline of the marina bay sands. No Singapore experience is complete without a visit to the local “coffee shop” where they serve the most aromatic coffee along with delectable local snacks. 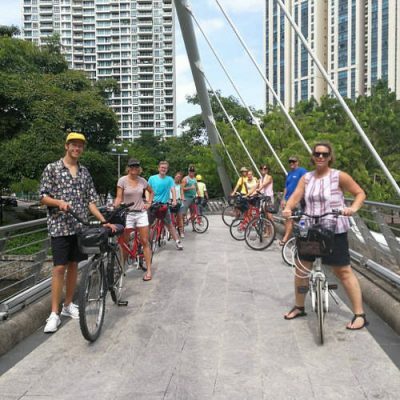 Our bike tour continues with visits to more cultural sites, winding up in the commercial district of Shenton way. Touted as the wall street of Singapore. Relive the colonial days at the padang. A common recreational ground of the british during the colonial days. 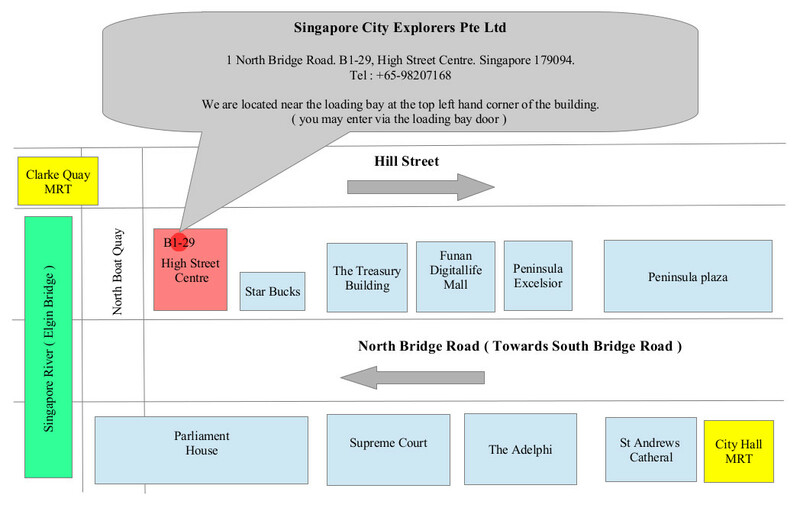 Discover what’s behind the “Durian” building, also know as esplanade theaters on the bay. Come discover singapore with us. 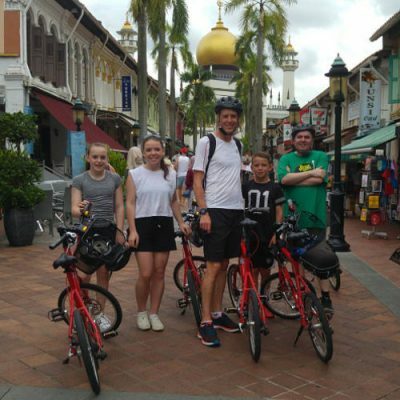 Imagine spending 4 hours exploring Singapore by bike. 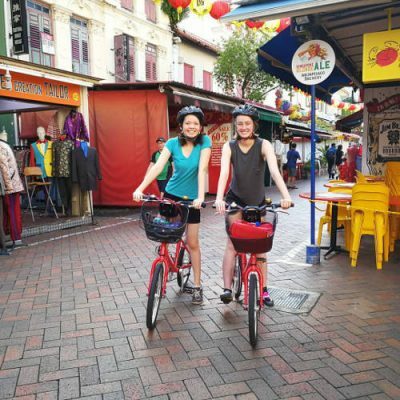 Cycling through the biggest cultural enclave, Chinatown and experiencing it’s rich culture. Visit the oldest residential estate, tiong bahru and experience the serenity and beauty of the conserved houses from the 1930s. 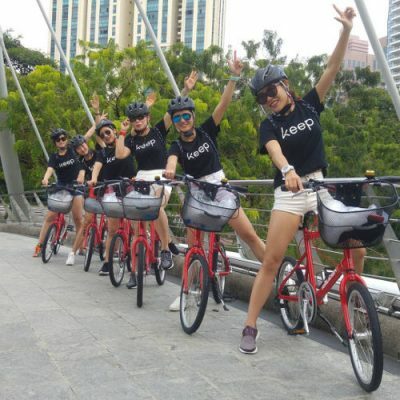 Then zip through the rolls of restaurants and private residents along the iconic Singapore river to relive the days of the commercial civilization. 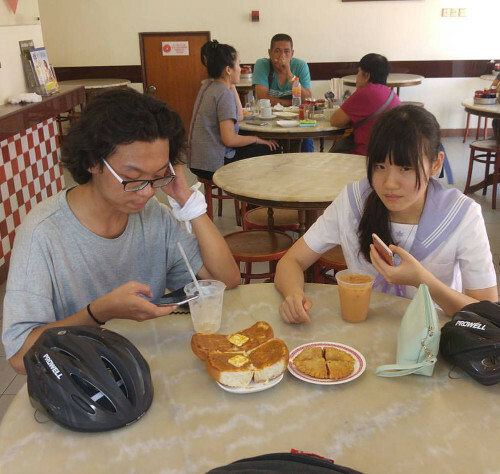 No Singapore experience is complete without a visit to the local “coffee shop” where they serve the most aromatic coffee along with some delectable local snacks. 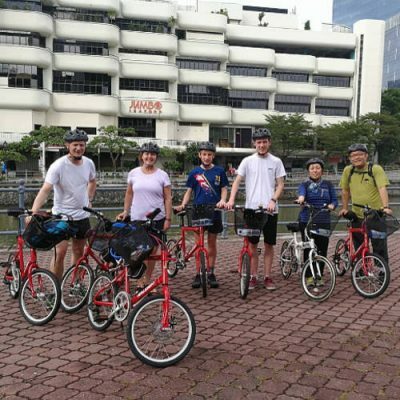 Our bike tour continues with visits to more cultural sites, winding up in the commercial district of Shenton way, touted as the wall street of Singapore. 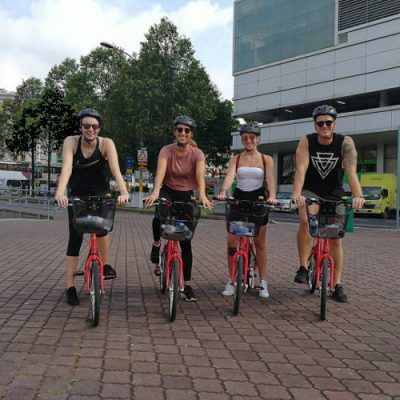 Exploring Singapore by bike is the best way to stretch your dollar by getting maximum coverage without losing the details. Venture into the nooks and crannies that a commercial tour cannot take you to. With our local expert beside you. 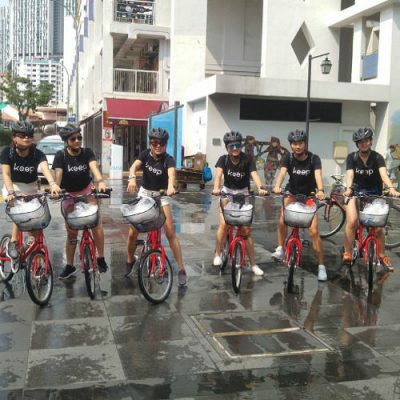 You will learn lots of interesting trivia and hear local stories that are uniquely Singapore. 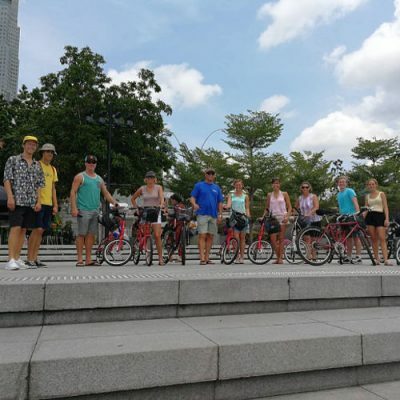 Our tour is designed like a crash course done in an interesting and relaxing manner to allow each tourist to immerse into the local culture within a span of 4 hours. 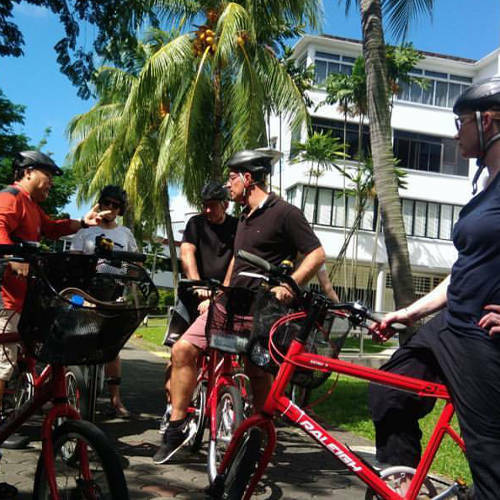 This tour is for any discerning tourist who wants to experience a true Singapore culture within a limited time. It is fun, healthy, educational, value for money and will leave you with good memories of Singapore for many years to come. What are the equipment to be used ? What is Included / Excluded in the package? Exclusions: Hotel pickup and drop off, additional food, items of a personal nature, tips / gratuities for your guide. 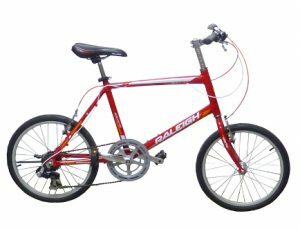 Dress standard: This is a bike tour and guests will be exposed to elements such as sun and rain. Therefore, casual clothes and a good sports shoes are appropriate. Bring sunscreen and some money for personal purchases. Extra water if neccessary. Rene was a fantastic tour guide 🙂 very good tour!